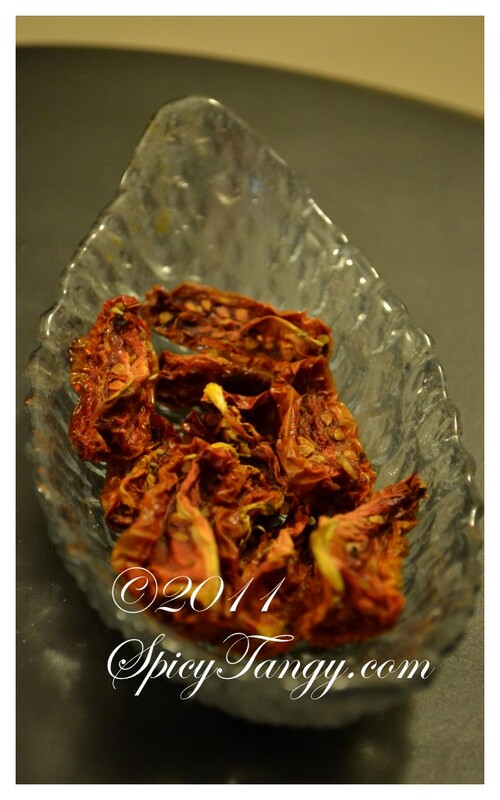 Have you ever had sun-dried tomatoes at a restaurant and wondered if you can use them in your home cooking? Well, it is dead simple to make them at home. All it takes is an oven and a little patience! Sun dried tomatoes make a wonderful ingredient in your salad, pasta or pizza and elevate your dish from ordinary to gourmet! Slice tomatoes into quarters like shown in the picture above. Place them in a baking tray so they are spread out and don't touch each other. Sprinkle salt on them. You may also add herbs like oregano or rosemary if you like. Generously top them with olive oil. Pre-heat the oven to 100 ºC or 200 ºF. If you don't have that setting, use the lowest temperature you have in your oven. 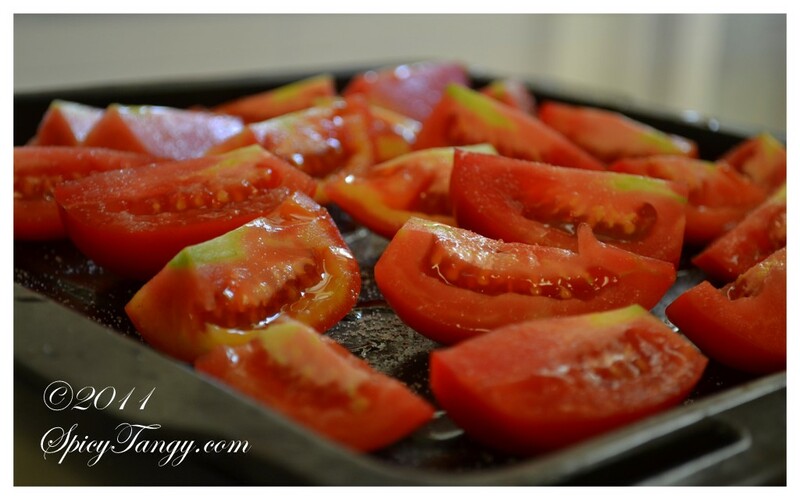 Place the tray with tomatoes in the oven and bake them for about 8 hours. The amount of time will vary from oven to oven but you will know that they are done when all moisture has been evaporated and tomatoes become chewy/crunchy. When the tomatoes have dried, take them out of oven and cool them. They are ready to use. You may cover them with olive oil and store them in a ziplock bag or an airtight container in your refrigerator. They stay good for 3-4 months.